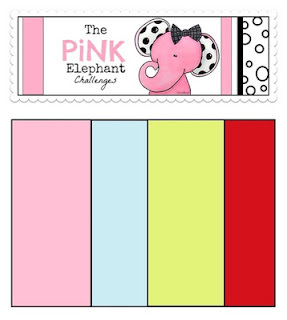 It's time again for another Pink Elephant Scrapbook Challenge. This time we are using pink, blue, yellow and red in a layout. You can see our inspiration photo below. 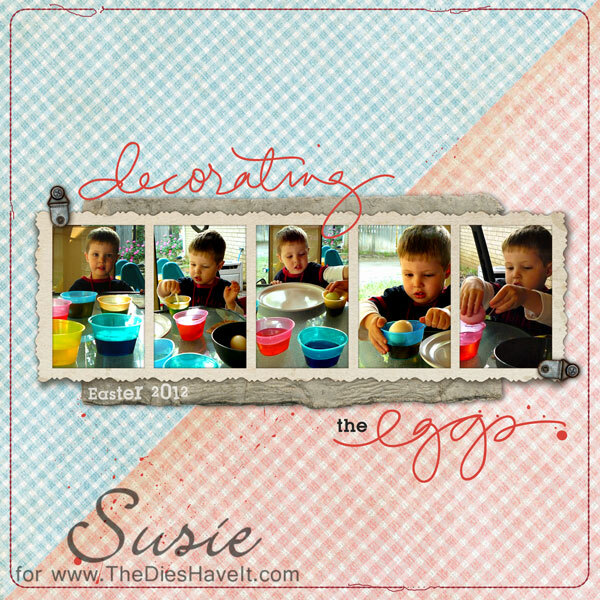 The colors made me think of all the fun colors to be had when dying Easter eggs...and I had some perfect pictures for that. This is our little Caleb last Easter out on his patio dying eggs. So paper or digi - be sure to play along with us this week. 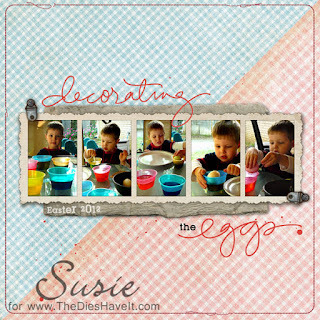 You can link up your layouts right here. I'll be back tomorrow with a challenge card for you.